This revolver is brand new in the hard case. 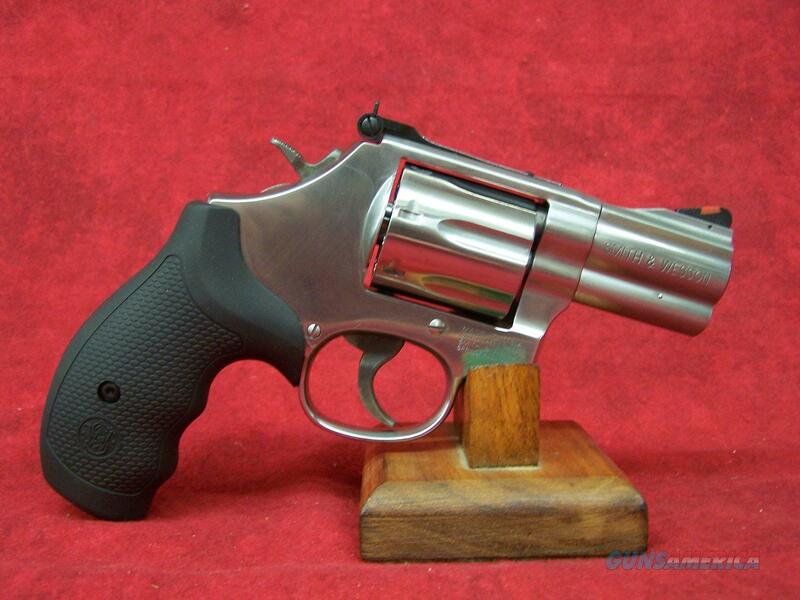 Satin Stainless Finish Adjustable Sight Internal Lock 7 Round Model 686 Plus Single action, double action. L-Medium frame. Seven round capacity. Full lug barrel. .375 target hammer. .312 smooth target trigger. Red ramp front sight. Adjustable white outline rear sight. Hogue rubber/SB conversion grips. Stainless steel frame and cylinder. Satin finish.